A photo from this trip ended up in the Washington Post. As Charlie describes in the video below, he and the other instructor, Connor, first spend some time on land getting folks fitted to their kayak and go over some of the basic concepts before emerging gently into some flat water to experiment and try things out. We then moved on to a section of river with some gentle current to play with some of the simple hydrodynamics and even found the competitive nature of some of the crew to start a race. You’ll have to watch the video for the results… Things didn’t go quite to plan. 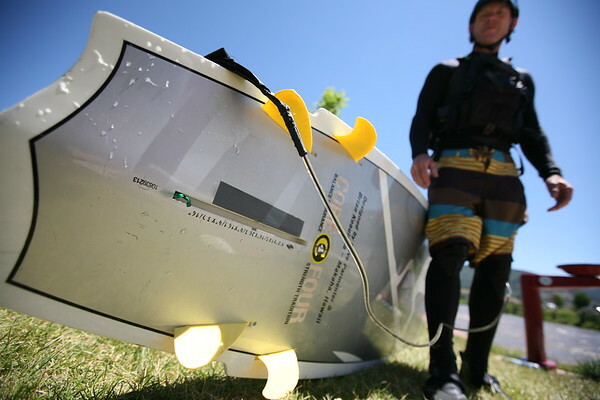 Later in the week, we met up with Charlie again, this time to learn about Stand Up Paddleboarding and this is where we discovered how Charlie had been involved in building this sport through working with board shapers to get the right style boards developed. He also had a hand in building the water parks – moving rocks around in the river to create just the right wave and flow conditions to maximize the challenge and the fun. Those reasons, along with every time we mentioned his name to someone who works on or plays in the river in response to something that was seemingly impossible, they would nod and say “Charlie could do it. In his sleep.” Hence, a legend. We started in the Glenwood Springs hot springs pool to try standing and paddling around on the boards ourselves. We got pretty comfortable with it all quite quickly as attempts were made to fit two paddlers on one board or even the less successful attempt of trying to walk or jump from one board to another. Let’s just say it involved a lot of splashing in the warm water in the cheery Colorado sunshine. Next we moved to the raging Colorado River flowing through town. More precisely, we stood on the shore while Charlie showed us how it’s done in big water. 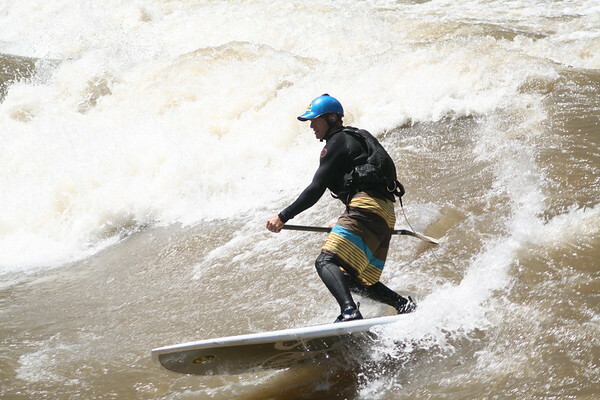 Instead of flowing down the river like a river rafting trip (though, that can be done on an SUP as well) we watched Charlie surf a standing wave. 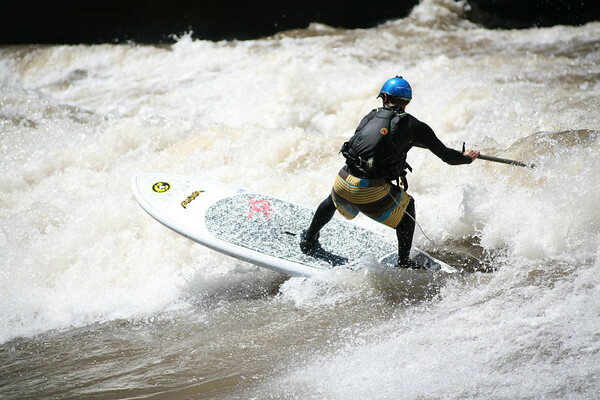 If you’re into either kayaking or keen to catch the new wave of water sports and want to learn how to surf a river, Aspen, Glenwood Springs and the Roaring Fork Valley as a whole is the place to be. Coverage of us in the local paper. 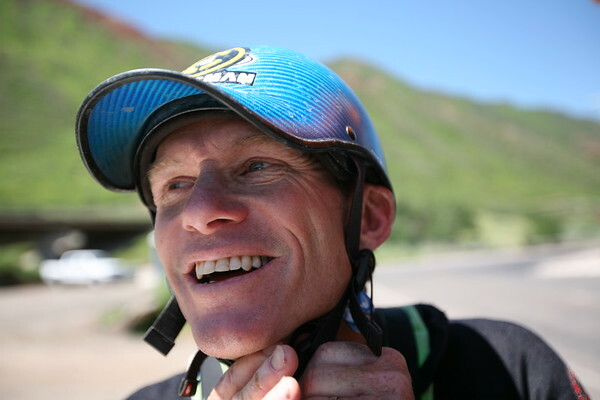 This entry is filed under: Blog, Kayak, North America, Story, Video, Water.